FullFlush Poker : Free Play Trial and Great Deposit Bonus! 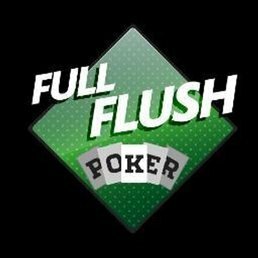 If you are looking for a unique, safe and overall fun online poker experience, then look no further than FullFlush Poker. The site uses proprietary software that was developed under the Equity Poker Network, and their customer service team will help you get things set up from start to finish. One of the things that beginners often complain about whenever they first start out at sites like this is the fact that they don't get to compete against others who have similar ability. More often than not, these people find themselves put up against a table filled with sharks and they end up losing their chip stacks very quickly. At FullFlush Poker, the developers took the time to develop a system that can actually analyze your abilities and put you at tables with others who have similar abilities. As you improve, you will automatically be put into new ones. This means that you will always feel challenged, but since you won't lose your bankroll as quickly, you won't feel constantly discouraged along the way. Whether you are interested in real money or free play, you will need to register an account to get started. First of all, you will need to download the client which takes only about five minutes. It is only available for Windows systems, however, and it runs best on broadband internet speeds. Once this has completed, fill out the form which includes your email address. Once you submit, you will be asked for a validation code that will be sent to your email address. Simply enter that code and you're good to go! If you are interested in making some real money right away, then you can take advantage of an outstanding deposit bonus and get entry into the $500 First Depositors Freeroll event. There is no buy-in, but if you have the right skills you could walk away with a nice prize. There is also what is known as the Big Deepstack Saturday with a $2,000 guaranteed prize pool and the Sunday Blowout that guarantees $5,000! FullFlush Poker is one of the most unique places in the world to enjoy some multiplayer Hold'em. The ability to sit at a table with others who have your same abilities will help you hone your skills, too. The graphics are quite realistic and the sound effects are crystal clear, so you will feel like you are sitting at a real-life table in Vegas while you enjoy the comfort of your home.